Hello again. Say hello to my little friend! We would like to introduce you to an excellent website and resource for information and insect identification. They even have a ID request form where you can send in a photo, and the online community will help identify the little bugger! Check them out. We are an online community of naturalists who enjoy learning about and sharing our observations of insects, spiders, and other related creatures. We enjoy the opportunity to instill in others the fascination and appreciation that we share for the intricate lives of these oft-maligned creatures. Using the best resources we have access to, we are creating a knowledge base to help each other and the online community. 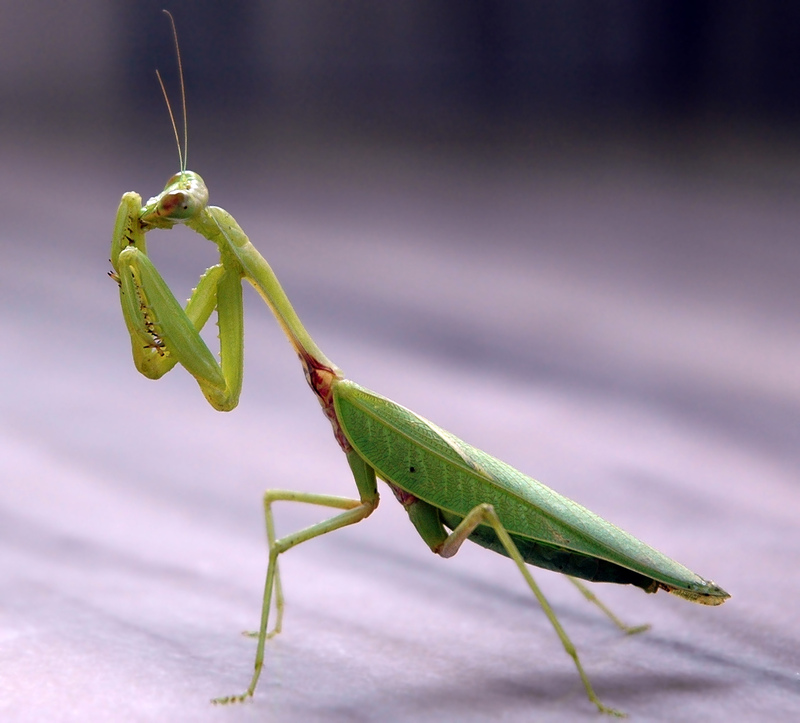 This entry was posted in Uncategorized and tagged Biology, bugs, entomology, garden, insects, nature, photography, praying mantis. Bookmark the permalink.